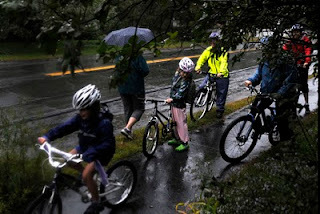 Norwich, VT kids are hardy- though the Bike/Walk to school day was cancelled there because of bad weather, many kids and their parents still biked to school in the pouring rain. For my first photo story for the Valley News this time around, I though I'd photograph a subject I know well- horses. I though the idea of following a farrier around for a day would be fun, so I photographed Audrey Tacy, who shoes horses in the Plainfield, NH area. It was a good time, and I was happy with the results. 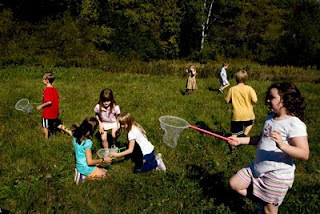 Found this today while looking for standalones, a class of 3rd/4th graders looking for bugs in front of their school. 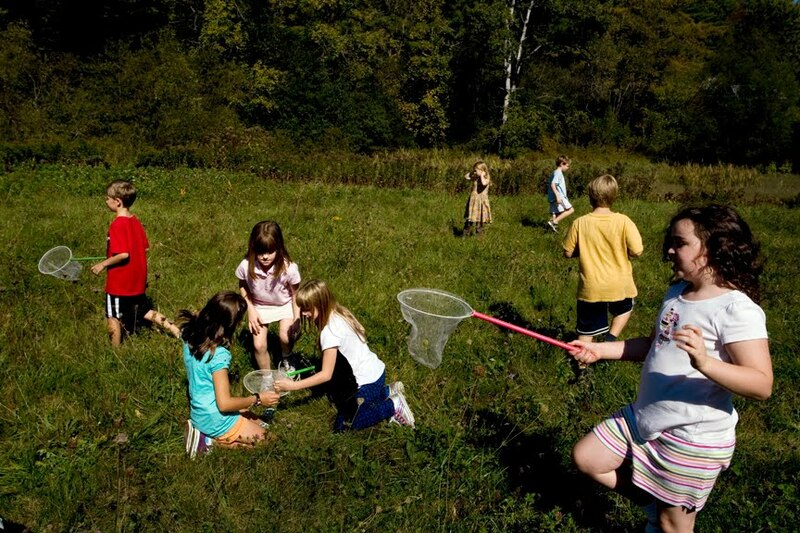 These are my favorite kind of things to find, lots of movement, constantly changing elements, and people who are too interested in what they are doing to pay attention to me. 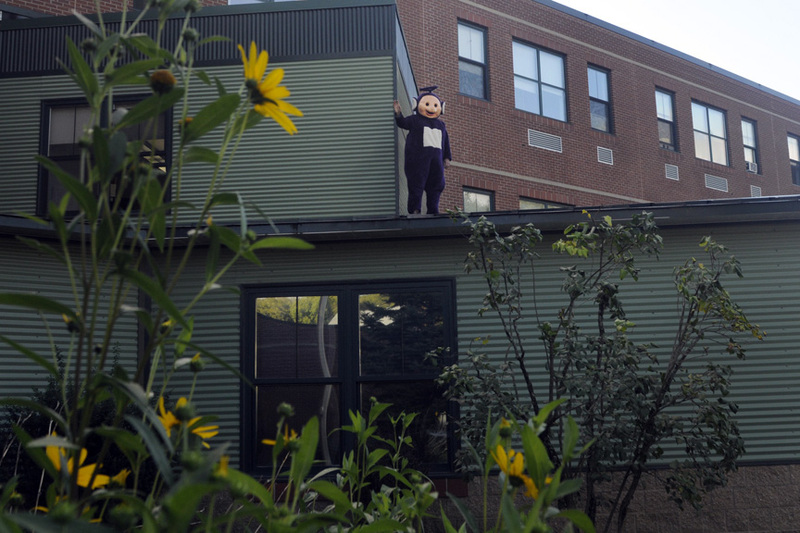 Principal Jurg Jenzer of Windsor's State Street Elementary School stands on the roof of the main entrance of the school dressed as a Tellytubby. This was the result of a challenge issued by Jenzer for his students to collectively read more than 8,000 pages over the summer, which the students beat by reading 56,236 pages. "If we give the students an assignment to read, they'll find any way to get out of it, but if we give them a challenge, they'll show us that they can do it," said Principal Jenzer. The students were allowed to vote for which costume the principal would wear for the morning, which also introduced voting to the students.